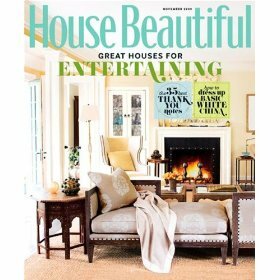 Since you now have $10 available from your no-longer-renewable subscription to the recently tanked Metropolitan Home, stop by Amazon's Cyber Monday magazine sale, which also includes Real Simple and Southern Living. And Cosmo, if you're so inclined. Thank you for posting! I'm reluctant to spend more than $5 on anything for myself, but I love Real Simple magaizine; this was too good to pass up! oh noooo, i'm late! i recently got Real Simple off of the same deal and i'm so happy i did! CRAP, I hope I didn't miss it! Ooh, very tempted, I always enjoy flicking through Real Simple. But right now I have a couple of magazines which keep arriving, despite my attempts to cancel them, so I guess I need to tackle my reading pile first!